When walking through the Wynwood Arts District, one can’t help noticing the overwhelming presence of street art. Massive murals and installations, some up to four stories tall, cover the exteriors of galleries, shops, and warehouses in the area. 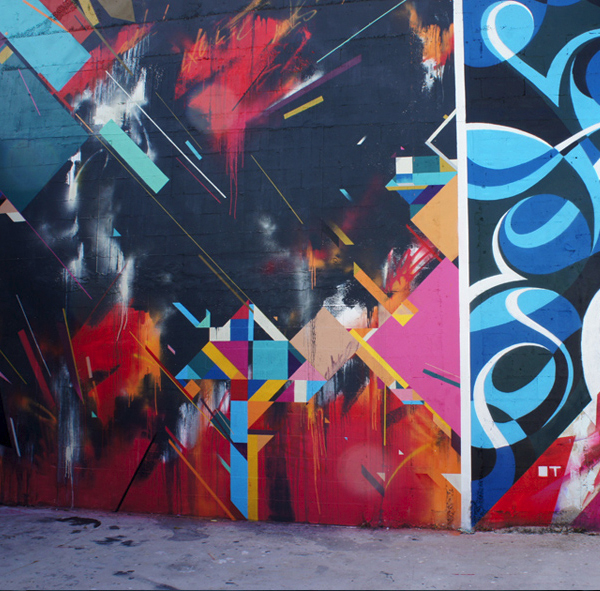 Large, detailed stencils and graffiti pieces cover the building walls like a colorful collage. Realistic and cartoonish characters, surreal landscapes and giant words cover the exterior walls. There is a wide variety of different styles and subject matter to see. When you are there, the artwork can seem endless. Street art by definition is art, specifically visual art, developed in public spaces — that is, “in the streets” — though the term usually refers to unsanctioned art, as opposed to government sponsored initiatives. The term can include traditional graffiti artwork, sculpture, stencil graffiti, sticker art, wheat pasting and street poster art, video projection, art intervention, guerrilla art, flash mobbing and street installations. 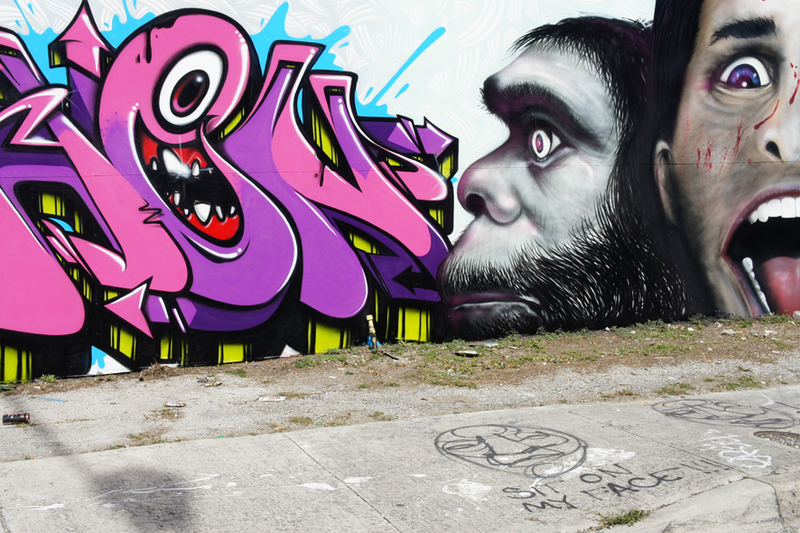 Graffiti has had a long history in Miami, but since the first Art Basel in 2002, Miami’s street art scene has exploded. Art Basel has provided an international stage for street artists from around the globe to make themselves known, creating large colorful murals and installations for the public to see. World-renowned street artists such as Shepard Fairey, Ron English and Invader have all left their mark in Wynwood and made a contribution to the Miami street art scene. If your an art lover or an artist looking for inspiration, I highly recommend you experience the street art in the Wynwood Art District yourself. Whether you decide to go during the popular monthly art walk (the second Saturday of every month) or on a Sunday afternoon, you will be amazed by the large colorful murals that cover the building walls. 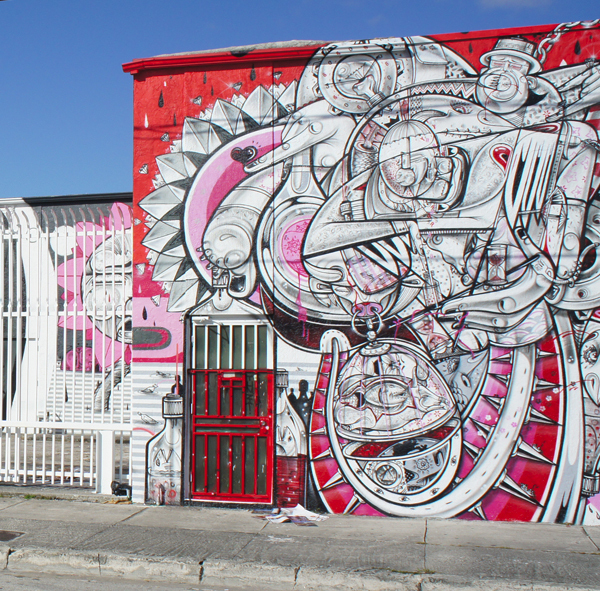 If you are not familiar with the area, a great place to start would be the Wynwood Walls located at 2528 NW 2nd Ave.